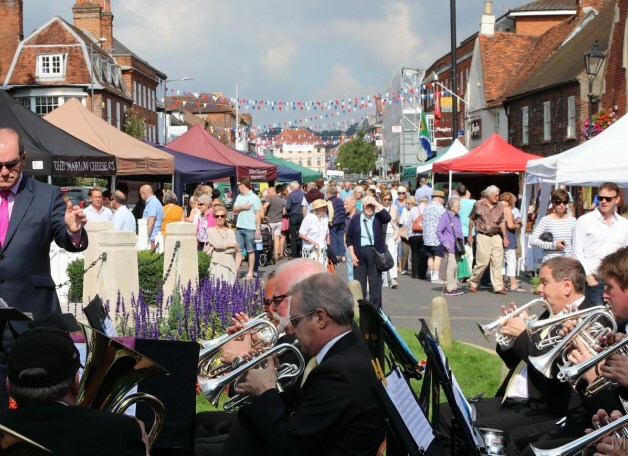 The town’s Local Produce Market runs on the fourth Saturday of every month and sells high quality food, drink and crafts from a c.25 mile radius of Chesham. You can find us in Market Square near the clock tower and the upper end of the High Street between 10am and 2pm. Our market is a fantastic opportunity to try the local produce on your doorstep, at your convenience, plus meet and talk to the people who make it! We have a great range of produce on sale, including lamb, eggs, cakes, home-made ready-meals, chocolate, honey, seasonal fruit and vegetables, baked goods, curry sauces, preserves and chilli sauces. And for crafts we have ceramics, cards, crochet and silver jewellery. We also have beautiful, ornamental plants on sale. See our regular stall holders.